This is the start of our Christmas Articles published for 2018 and I thought it might be appropriate to start with a little light reading. 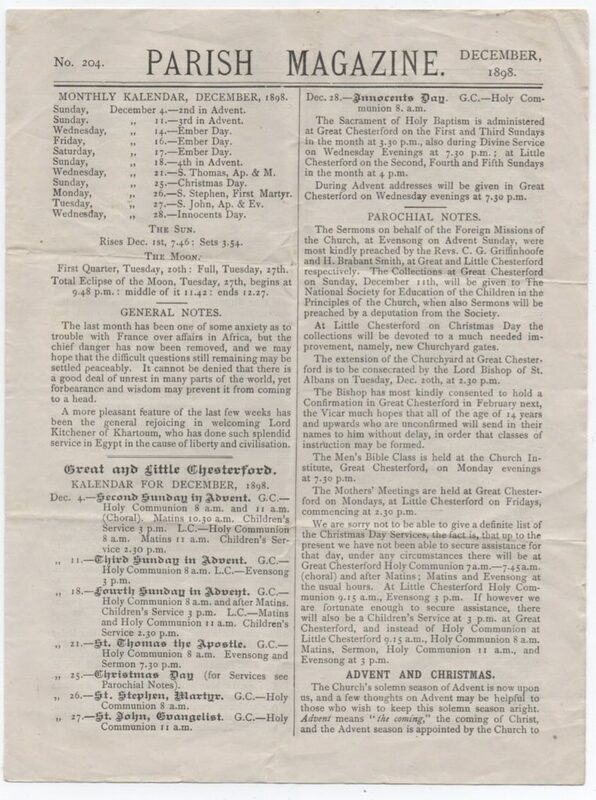 So below is the Parish magazine for December 1898. 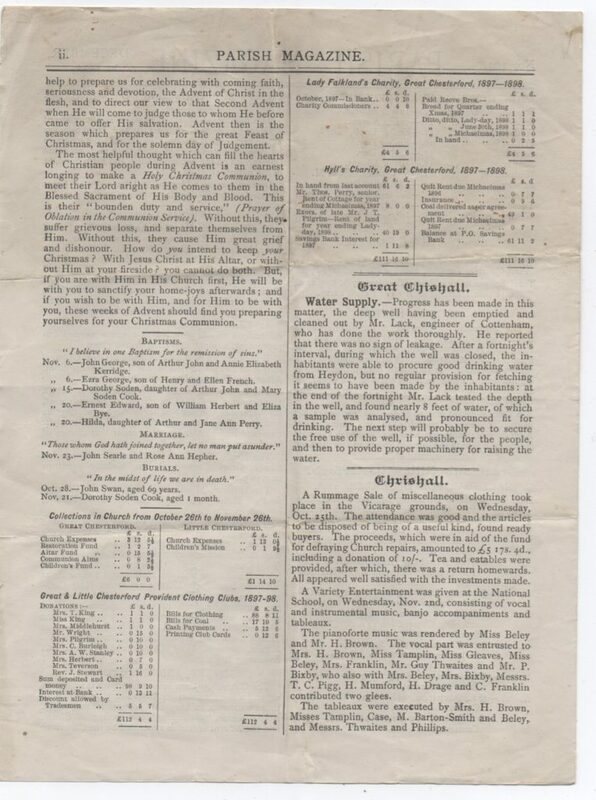 This magazine covered the Chesterfords, Great Chishill, Chrishall, Debden, Langley, Heydon, Littlebury, Wenden Lofts, Elmdon and Wendens Ambo. 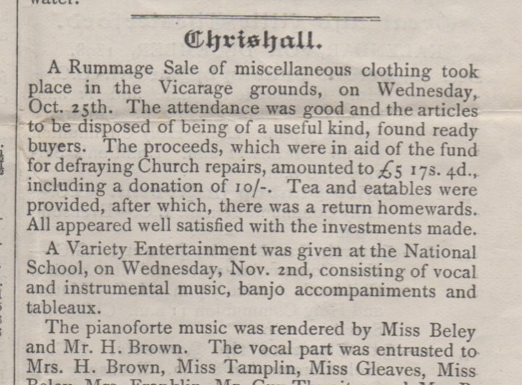 There were concerts held in both Chrishall and Elmdon for fund-raising, rummage sales were obviously popular and also clothing clubs. 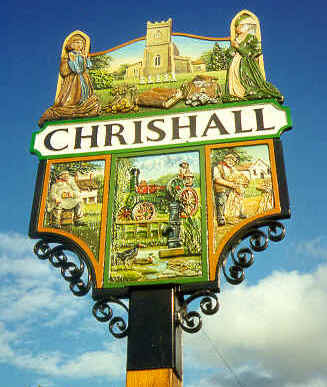 There was some admonishment of parishioners: the people of Chishill had not bothered to go to Heydon to get their water while the well in Chishill was closed! And those in Littlebury were not using their Reading Room enough meaning that it might have to be shut. Chrishall’s rummage sale took place in the vicarage grounds on 25th October which hopefully was a mild day. 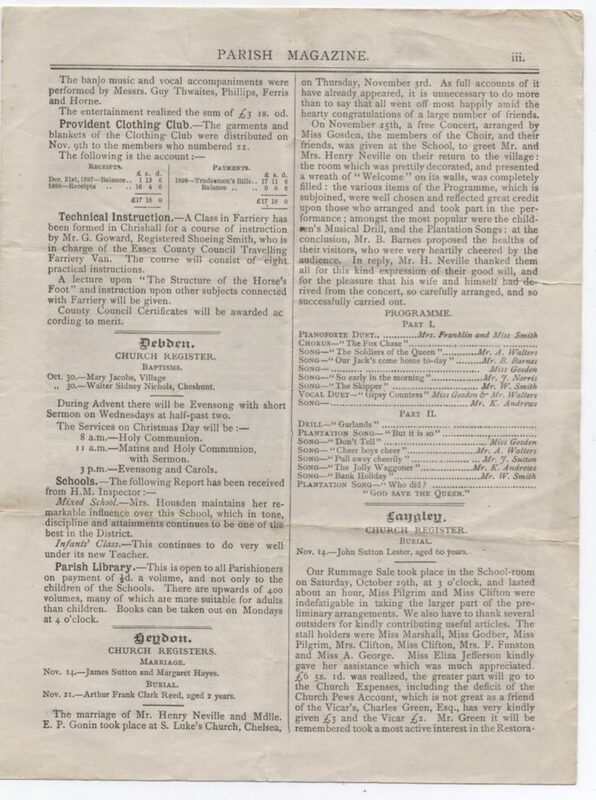 And a class in farriery was being set up in the new year – eight weeks with a certificate at the end. One would hope people were not expected to actually be able to shoe a horse at the end of just eight weeks! 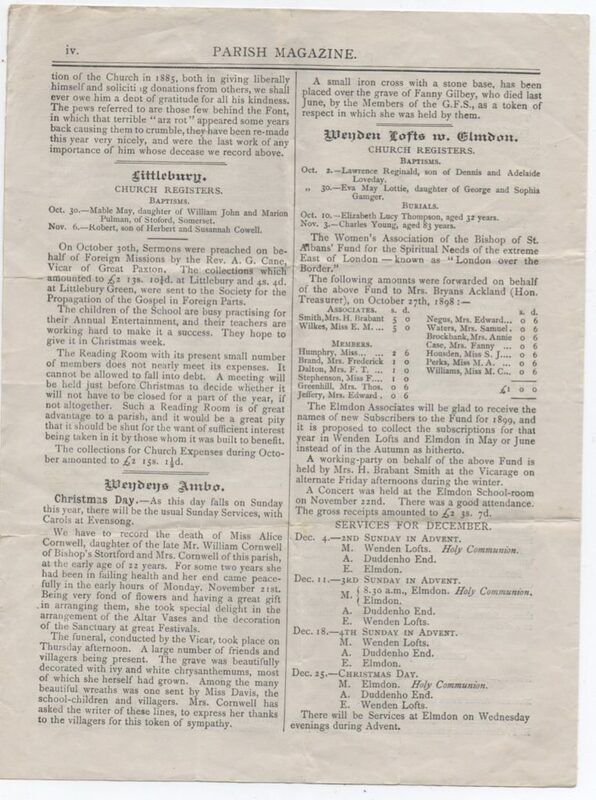 With many thanks to A Drury for allowing Chrishall Archive to copy this magazine.